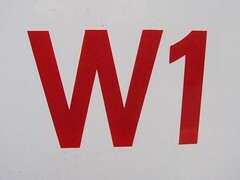 Postal district within the City of Westminster, subdivided into many more sub-areas by the addition of an extra letter (e.g., W1F, W1T, etc.). It encompasses what most people would consider Central London and the West End, including Oxford Street, Marylebone, Soho, Mayfair and Fitzrovia. It takes in Marble Arch to the west, Piccadilly and Piccadilly Circus to the south, and Goodge Street to the east. Last edited 2008-04-11 13:07:04 (version 11; diff). List all versions. Page last edited 2008-04-11 13:07:04 (version 11).